The first state to legalize marijuana medically, California is now home to over 250 dispensaries. With plenty of unique varieties and options for its patients and customers, you’ll certainly be able to find something to suit your taste. From vaporizers to edibles, check out what the 10 best marijuana dispensaries in California have to offer. LA’s TLC Collective is a favorite with connoisseurs that appreciate the fresh products, high quality and friendly staff. There can be a line and security at the door, so be prepared to wait but TLC remains a favorite spot to score high quality weed and get discounts with medical cards. Purple Star MD offers medical cannabis and alternative medical treatments for those that need. The clinic is highly involved in the local community and benefits numerous organizations and charities with each purchase. The vast array of options for products has made Purple Star MD a favorite. Urban Pharm is a steampunk styled marijuana dispensary that is as stylish as it is functional. The dispensary offers the ability to not only purchase but also enjoy a wide variety of weed products, most of which are award-winning. Check out the events and join the VIP club for special deals and discounts. Southwest Patient Group offers a variety of cannabis products and creations and all the accessories you need to enjoy them. They also deliver to select zip codes during select hours for a minimum purchase, making them convenient and easy. Check the website for various specials and daily and weekly offerings as well events and other tidbits of knowledge. California’s capital city offers a knowledgeable staff and plenty of products for the medical marijuana community. Select patients may qualify for a discount and 1841 El Camino is available to help you decide on the best products and delivery systems to suit your needs. 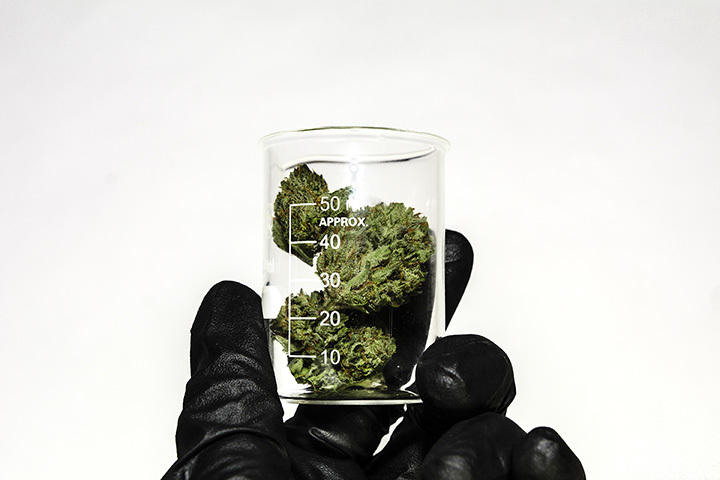 CannaCruz uses labs to tests products to ensure the highest quality, free of pesticides. The dispensary is frequently touted as the best in NorCal and has become a local favorite. Many products are award-winning and the menu changes daily, and is constantly updated. You can shop online or in store for a great experience. Buds & Roses offers a clean and sterile setting for its marijuana products. You can find discounts on select products and for new customers as well as many community outreach options. Check out the complimentary valet parking to make buying at the busy Studio City location a little stressful. Vista’s Dr. Green Rx has a variety of marijuana products and a warm and welcoming atmosphere to help everybody enjoy the experience a little more. The friendly staff is available to help you choose the products that best suit your needs and regularly updates with the latest information and products in the industry. The Higher Path began as a medical dispensary and now offers products to both medical patients and adult use recreational consumers. Open since 2016, the dispensary aims to educate and support the community as well as make all patients and consumers feel welcome. Look for daily deals as well as specials for first and second time visitors as well as those that sign up for the newsletter. If you find yourself in Ventura County, let the marijuana dispensary come to you. Green Bee Collective complies with all necessary laws and regulations to make marijuana delivery possible in the traditional county. Green Bee ensures quality and legality for all purchases and is perfect if you’re spending time in the area and need some additional relaxation.